In 2010, Nancy Jo Sales wrote a piece in Vanity Fair entitled ‘The Suspects Wore Louboutins’. In it, she details the real life case of a group of teenagers who burgled over $3million worth of designer clothing and jewellery from celebrities living in the Hollywood hills. 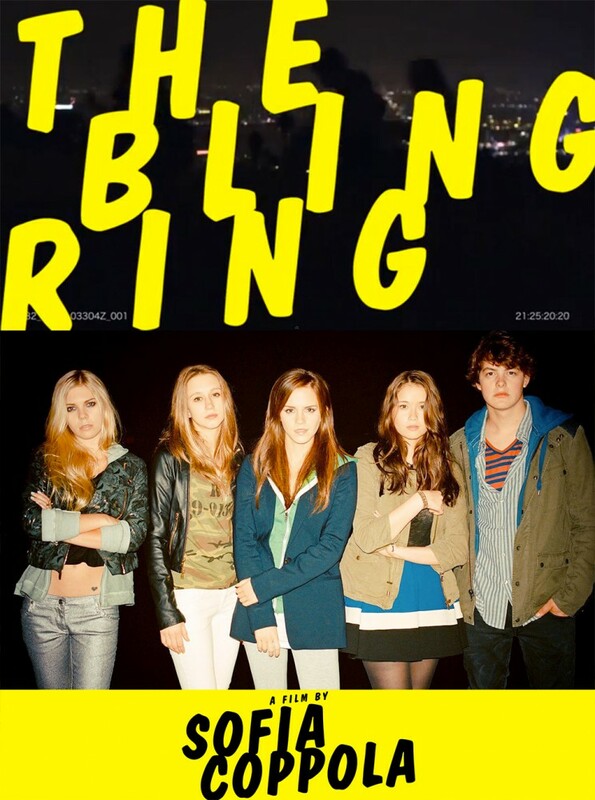 It’s this article that forms the basis of Sofia Coppola’s film The Bling Ring, a film that stays remarkably faithful to the original writing in its exploration of the dangers of celebrity. Coppola presents us with a startlingly truthful depiction of youth culture, a cross-section of modern society driven by consumerism. The narrative plays out not only on camera but through Facebook, web-cams and photographs, whilst the teenagers are surgically attached to their mobiles and speak with an amusing vernacular soaked in celebrity culture and phrases. The blaring soundtrack, comprising predominantly hip-hop acts, is also striking in its verisimilitude. The significance of Frank Ocean's Super Rich Kids over the end credits does not go unnoticed. Music also plays an important part in the filming of the robberies. The very opening sees the group in the midst of robbery, the music cutting in with a sudden guitar riff that sounds almost like an alarm. Fuelled by ennui, their stealing escalates ("let's go shopping", they laugh) whilst the often subdued soundtrack considerably ramps up the tension. This is heightened by a narrative structure that juxtaposes the robberies with quotations from after their arrest - we are always awaiting their being caught. 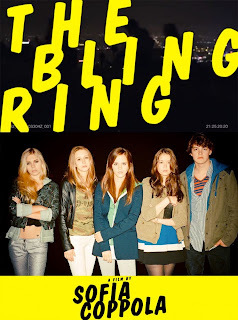 The Bling Ring is essentially a narrative of obsession. Robbing the houses of celebrities not only allows these teenagers to dress like their idols, but to smell, drink and live like them and it soon becomes an addiction. The focus, ultimately, is on Marc (Israel Broussard) and Nicki (Emma Watson). Marc begins as a "not quite A-list" looking gay guy simply looking for acceptance at school. For him, the arrest is clearly a sobering experience, looking small and childlike in his orange prison overalls. By contrast, Nicki sees the arrest as an opportunity to "grow and expand as a spiritual human being". Her arrest paradoxically brings newfound fame and media attention, allowing her to reach her goal in becoming a celebrity in her own right. It begs the question, are these teenagers really impressionable youths innocently drawn to celebrity culture? To the audience, the celebrity homes are ridiculously ostentatious (Paris Hilton remarkably allowed filming in her actual residence), but to the teenagers they are a veritable wonderland of shoes and handbags. Is the inherent and blatant extravagance of celebrity culture to blame, the teenagers merely victims of Hollywood materialism? Or are they mature beyond their years, manipulative creatures of greed, devoid of innocence? At the least, Coppola presents a glamorous and desirable lifestyle sought after by a bunch of ingenious kids who you secretly admire. The young cast offer believable performances, with Watson in particular proving post-Potter she is a more than capable actress. The real question, however, is why these celebrities don't have better security in the first place?